Yes, we know, we know, choosing a university can be a BIG decision and something that you should definitely do your research on. For many, university can be some of the very best years of your life where you can develop your potential, learn new skills and make lifelong connections in the process. With all that being said, don’t let the seemingly overwhelming task of choosing the right university have you hyperventilating. Relax, breathe and let us get you started in the right direction. 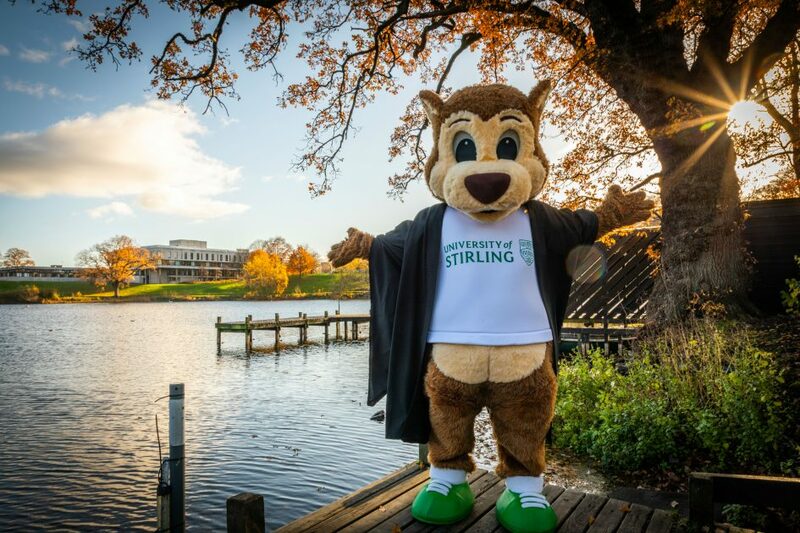 We’ve pulled together this handy list giving you a rundown of five top reasons why we think University of Stirling should be your number one choice. Our campus is the perfect place to call home. The breath-taking nature, cutting-edge technology, Olympic-sized swimming pool, on-site cinema and a huge range of restaurants and bars are just some of the reasons why we were voted 1st in the UK for a good environment on campus (International Student Barometer 2016). Need more convincing? Check out our virtual tour to explore the campus for yourself! We’re also located right in the centre of Scotland with the cities of Edinburgh and Glasgow as our neighbours so you’ll never be short of something to do! Like all big stages in life, we can often get a little stressed, overwhelmed or just need someone to talk to while on campus. Our Student Services Hub exists to make sure you can get the assistance you need as easily as possible during your time at the University of Stirling. 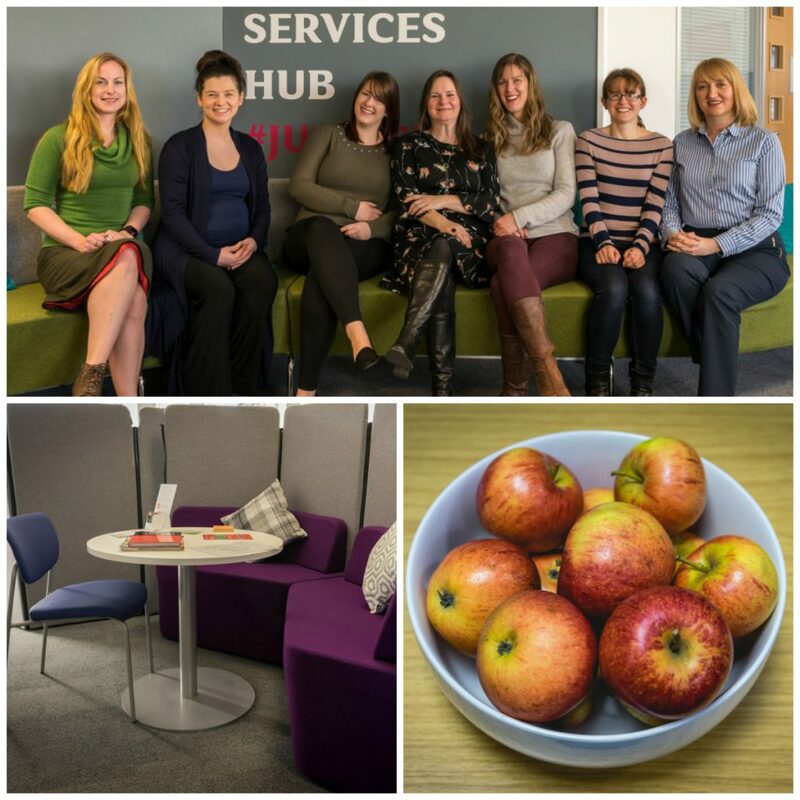 The Hub brings lots of frequently used services together, meaning you can get the help you need on a whole range of issues through a single point of contact. At the Student Services Hub, our front desks are screened for your privacy, we also have semi-private pods within the Hub as well as a private room for any conversations you don’t want to have within the main space. Just let the Student Hub Assistant know or simply indicate to the sign on the desk and they will be happy to move to a more private space. Our Student Support team are a super friendly bunch and are here to help you every step of the way during your time at Stirling. Oh and did we mention? We have free apples in the Hub for you to snack on while waiting to speak to the team! (nom nom nom). 3. Score your dream job! Did you know? More than 97% of our undergraduate leavers are in employment or further study within six months of graduating from the University of Stirling (Destinations of Leavers from Higher Education survey 2016/17). UofStirling Students have the opportunity to gain essential workplace experience whilst they’re studying, have an early introduction to our Careers and Employability Service and have access to our Alumni mentoring scheme where they can learn from an industry expect. We’re Scotland’s University for Sporting Excellence and top 5 in the UK for good sports facilities (Times Higher Education Student Experience Survey 2017). We make sure talented athletes not only fulfil their potential in class, but also their potential in their sport of choice. Currently, more that 50 of our student athletes hold world rankings and we’ve supported over 1,000 student athletes through our International Sports Scholarship Programme. If you’d rather take a more leisurely approach to sports, we’ve got you covered there too. We have over 50 clubs on offer from American football to underwater hockey and everything in-between so there’s something for everyone! We’re also redeveloping our facilities to create a brand-spanking-new sports complex so students will be able to take advantage of a new fitness suite, sports halls, cycling studio and more. If all that’s not enough, Stirling has recently been announced as the cheapest university city in the UK and Ireland (UNiDAYS, 2018) and Stirling has been named as the most affordable place to live in the UK (Lloyds Bank, 2017). You can find out how much it will cost to study at the University of Stirling on our website. We also have lots of other financial support on offer to help students make the most of their university experience. There are scholarships opportunities available to students from all backgrounds. Find out if you’re eligible for financial support using our handy Scholarship Finder.